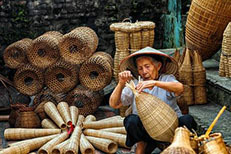 Hanoi, Sapa, Ninh Binh, Trang An, Halong Bay, Hanoi. 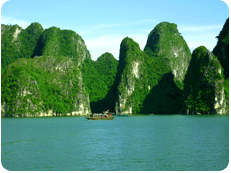 This trip provides a fantastic combination of the majestic splendour of Hanoi, the lush rice terraces and the ethnic diversity of Sapa, the sublime beauty of the Red River Delta and Halong Bay. This is an adventure to remember! Upon our arrival at Hanoi airport we have a pick-up and then transfer to our hotel. There are no other activities planned today. 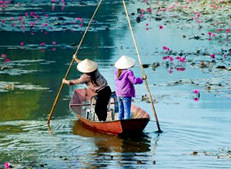 Let's get a feel for this lovely country we are in, starting the day with a little sightseeing around Hanoi. The complex dedicated to Vietnam's hero Ho Chi Minh, honoured for his role in liberating Vietnam from colonial rule is where we start. 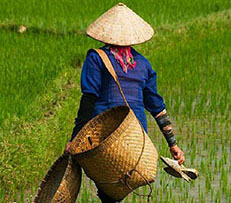 This gives us some insights into Vietnam's recent history. The Museum of Ethnology then we whet our appetite for some of the costume and textile traditions we see on our journey. Lunch is at one of local restaurants then onto the Temple of Literature. Founded in 1070, this beautiful temple was Vietnam's first University. Let us share dinner together in one of the best restaurants in the Old Quarter before we board our sleeper train to Lao Cai. (Breakfast, lunch and dinner are included). We have shower and breakfast before we set off to explore its neighbourhood, the villages of Sa Seng and Hau Thao await. 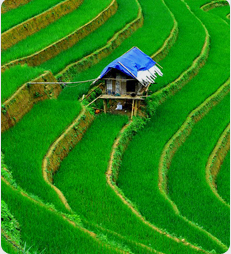 Here, villagers are the Black H’mong and Giay who speak their own languages, terraced fields fill the hilly cultivated land. 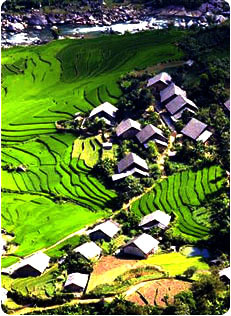 The Sa Seng and Hau Thao trails are narrow trails winding through small villages and open rice terraces. 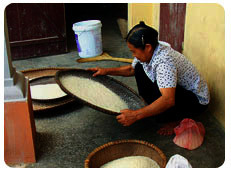 We return to Sapa for an overnight in a comfortable hotel. (Breakfast, lunch and dinner are included). 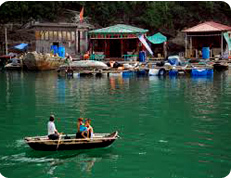 Sin Chai is situated in a region of breathtaking beauty. 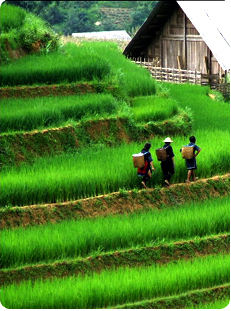 We spend whole day hiking along sculpted rice terraces and through small villages. 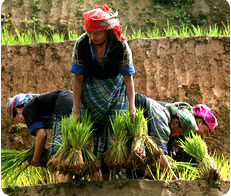 We head around the rolling farmlands and past several villages of Black Hmong and Red Dao people. Here, we learn about the intrigue of tribal life. 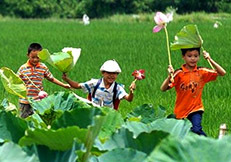 In the late afternoon we board our vehicle and drive back to Lao Cai railway station for having dinner in a local restaurant, before we board an overnight train back to Hanoi, arriving there at about 5am the following day. (Breakfast, lunch and dinner are included). Upon our arrival at Hanoi raiway station we check in our hotel for having shower and breakfast. 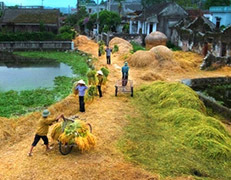 This is followed by our journey into the countryside to the very picturesque area around Trang An. 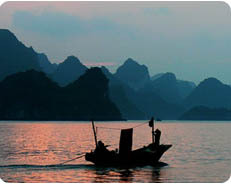 Trang An is famed for its magnificent limestone mountains. After our leisurely bicycle ride we take a beautiful day walk into twisted rock formations and nearby villages. Having time for some peaceful boating on the river and a visit to the family home and farm of local people is a beautiful way to spend an afternoon. At night we retire to a local family for an overnight stay. (Breakfast, lunch and dinner are included). 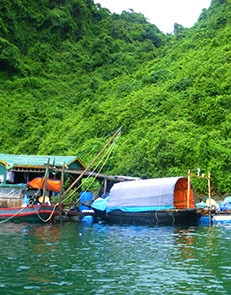 Departing The Red River Delta we journey to Halong City. 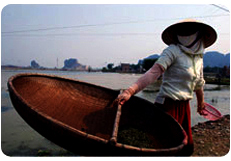 We follow its fertile road through flatlands of the Delta flanked by green carpets of rice paddies. 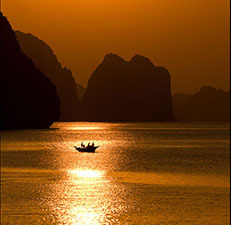 We then head north to Halong City. 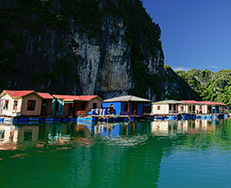 Here, we embark on a boat trip which navigates among some of the spectacular limestone peaks of Halong Bay – time to relax and appreciate the sublime beauty of the bay, while enjoying lunch on the boat. After we explore one of the most magnificent caves and take a kayak ride among towering rock formations, our boat finds a peaceful spot for an overnight stay. (Breakfast, lunch and dinner are included). 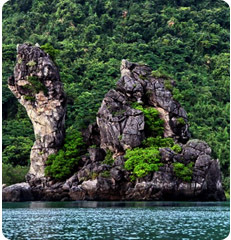 We continue exploring some of the Bay’s truly awesome scenery vertical and unusual rocks and islets emerge from the sea. 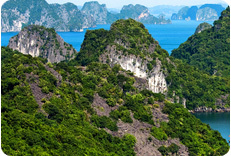 There is so much to see and something to do here, from exploring a cave, paddling our kayaks around scenic rock formations or visiting some floating fishing villages, before we return to Halong City. From here we board our vehicle for our return journey to Hanoi, arriving there at about 4pm. (Breakfast and lunch are included). - a 7-12 km hike on Day 3. - a 12-15 km walk on Day 4. - a 6-8 km bicycle ride. - a 2-4 km walk on Day 5. - a 1-2 hour kayak ride on Day 6 and Day 7. - overnight trains (2 nights). Comfortable and clean trains with soft berths. 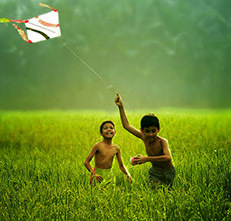 - $426USD per person for a group of 2 to 6 people. 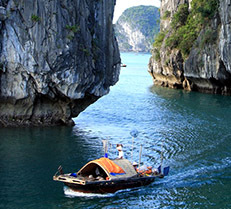 - $398USD per person for a group of 7 to 12 people. 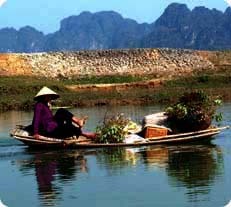 Pack essentials for a few days away from Hanoi, including light comfortable clothes suitable for outdoor activities, jacket for evenings. Take a small day pack for walking, hiking and cycling. We also recommend packing: comfortable hiking shoes, rain coat, sun hat, insect repellent and torch.